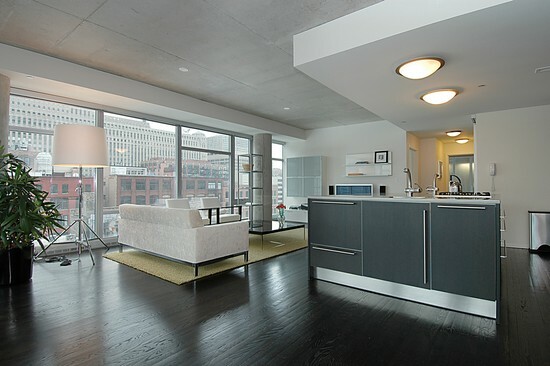 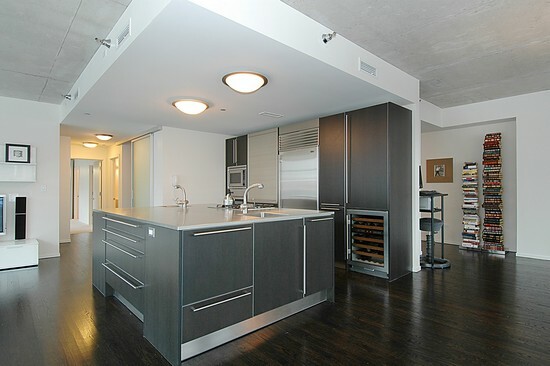 Luxurious, award-winning, and dramatic are just a few words to describe the breathtaking condos at 201 West Grand – the Contemporaine, in Chicago’s River North. 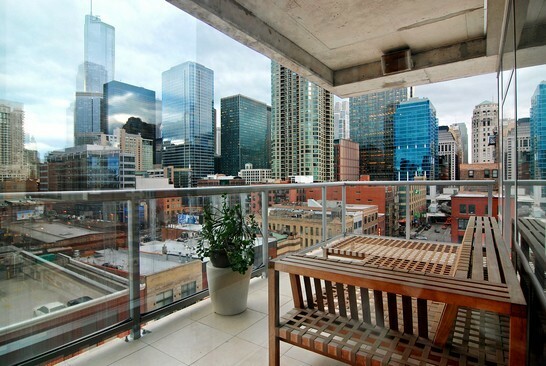 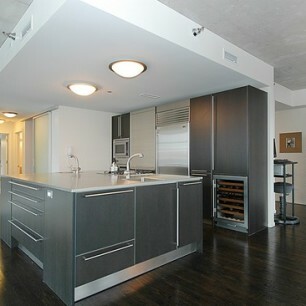 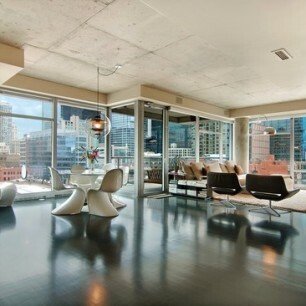 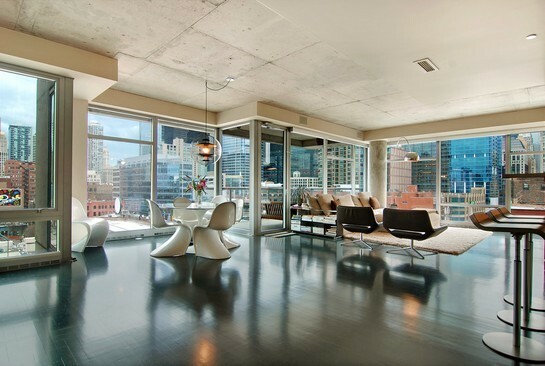 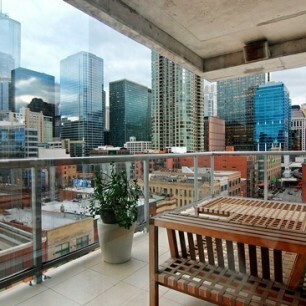 Finished in 2004, the condos boast an all glass and concrete exterior, which provides for a super-chic, contemporary design. 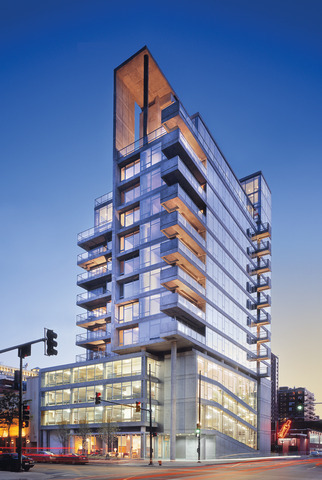 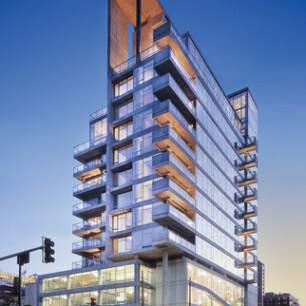 In 2004 the building won an Honor Award for distinguished architecture from the American Institute of Architects-Chicago Chapter and an Honor Award for Outstanding Architecture from the same institution in 2005. 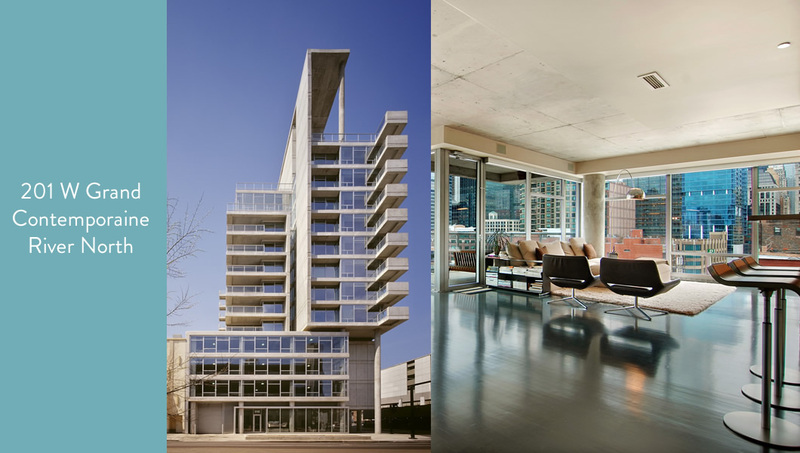 The condos have balconies and an average ceiling height of 10 feet, however, some of the units have spectacular 20-foot atriums.